From Egyptian, Arabic and Ottoman Music to his inner Valencian roots mixed with his Jazz knowledge. He has filtered all this singularity art expression by his own feelings and perceptions, where each “maqam” or mode has its own colour, and each rhythm its suggestive walk. Andrés Belmonte belongs to a new generation of musicians who approach traditional music with new eyes. To do so, he has surrounded himself with the best musicians in his field: Efrén López, one of the great references in Turkish and Persian music in Europe; the percussionist David Gadea and the contrabass player Ales Cesarini. 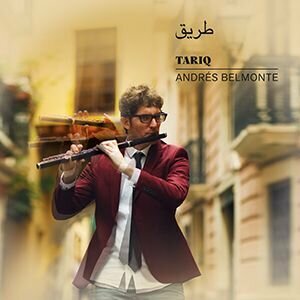 Belmonte, on the other hand, uses both conventional flutes and the ney, a type of ancestral reed flute that is very common in the Arabic repertoire and, most likely, the flute itself in Al-Andalus.